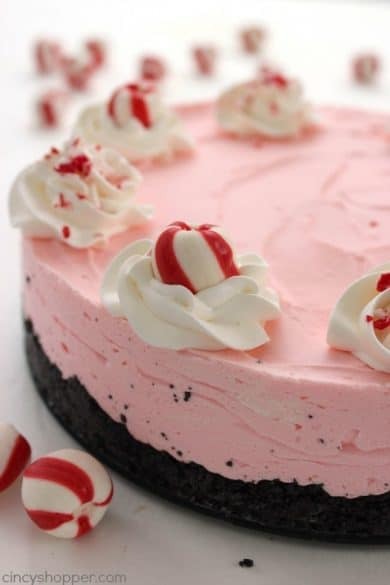 Peppermint is such a cool and refreshing flavor that it’s easy to see why it’s used in so many treats! 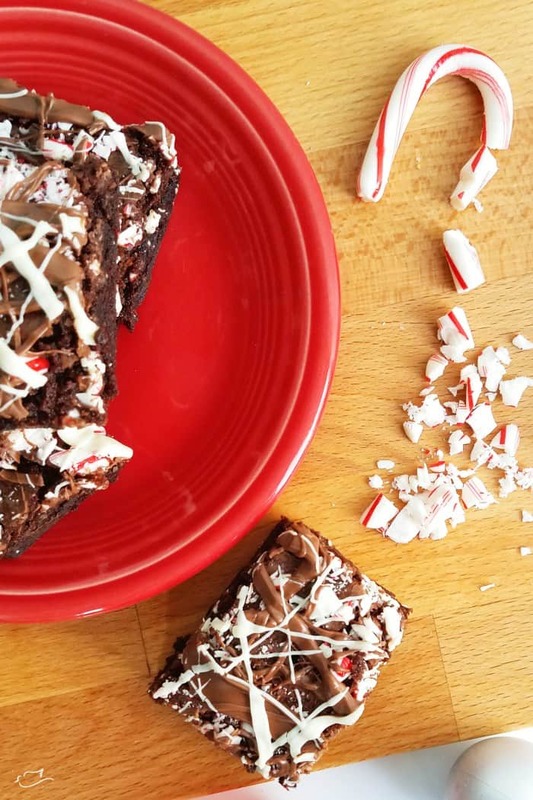 While it’s traditionally associated with winter holidays, you can also enjoy these 25+ yummy peppermint recipes year round. 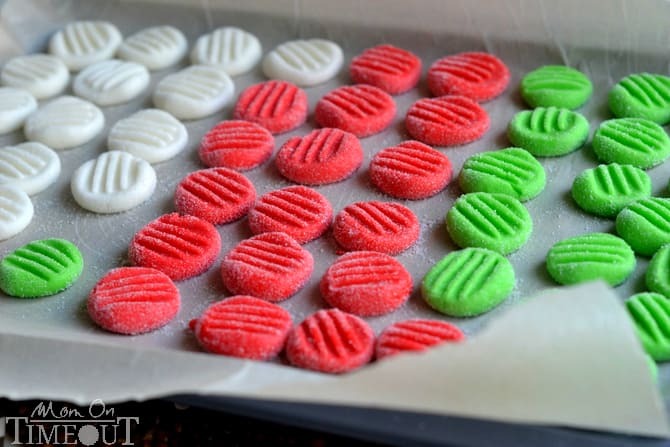 These yummy little peppermint patties are so easy to make, plus you can color them to match any holiday or season. 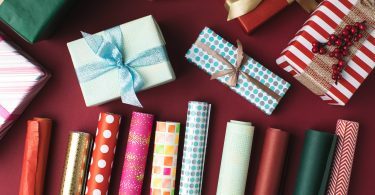 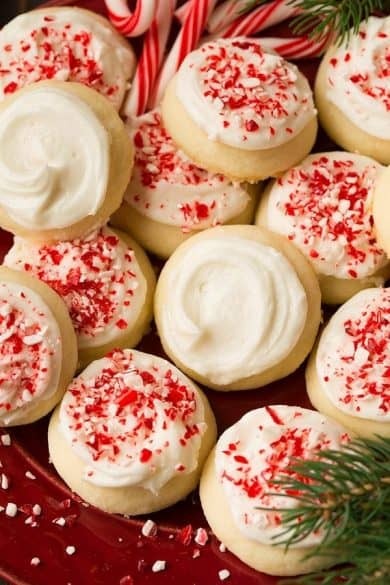 They also make great neighbor gifts during the holidays. Dress up a basic store bought brownie mix with some chocolate drizzled on top and then sprinkle it with crushed peppermint pieces. 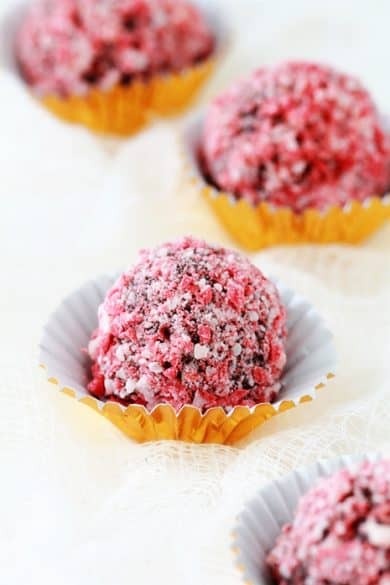 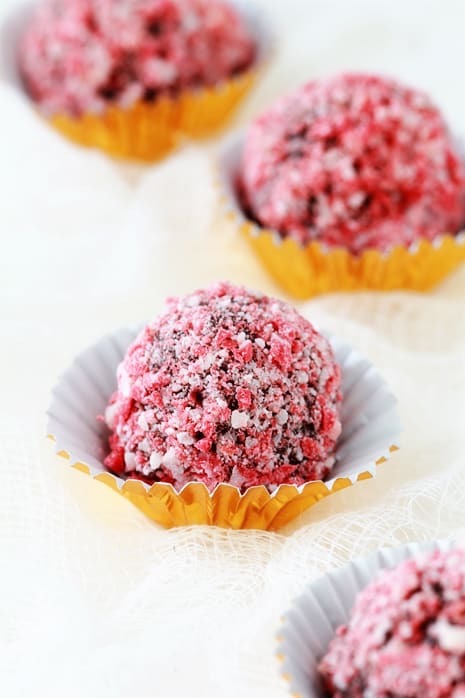 Only 3 simple ingredients are needed to make these decadent little truffles. 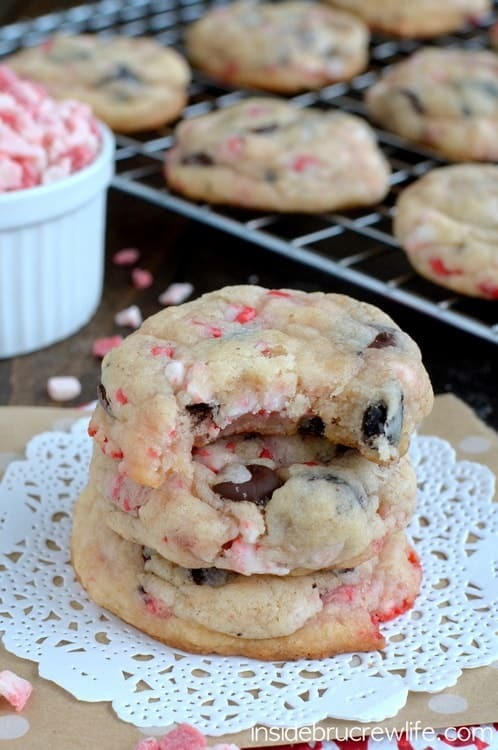 These Oreo peppermint crunch cookies are one of my all time favorites! 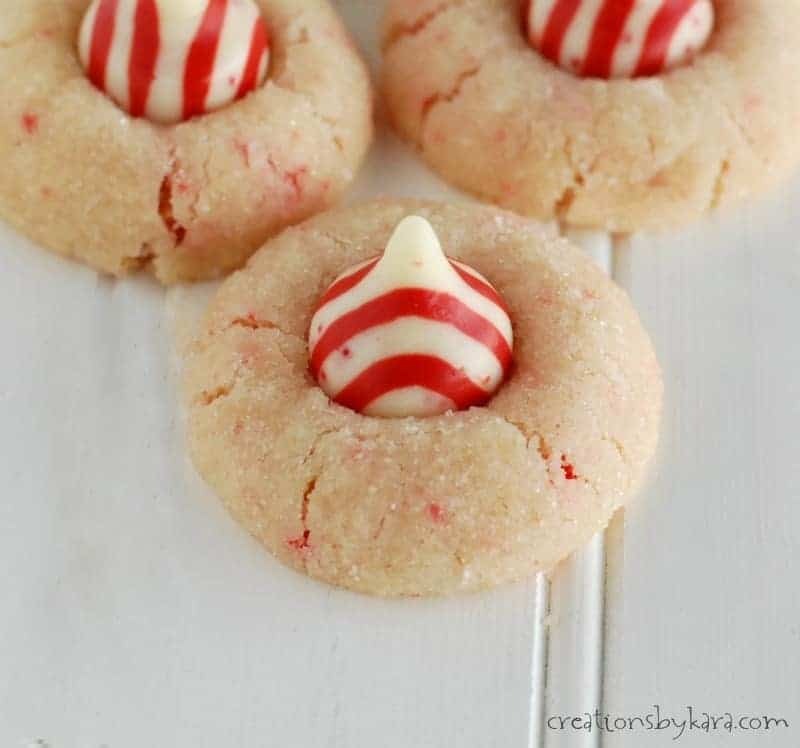 Be sure to stock up on the peppermint Andes mints that are only in store during the holidays so you can make these any time of year. 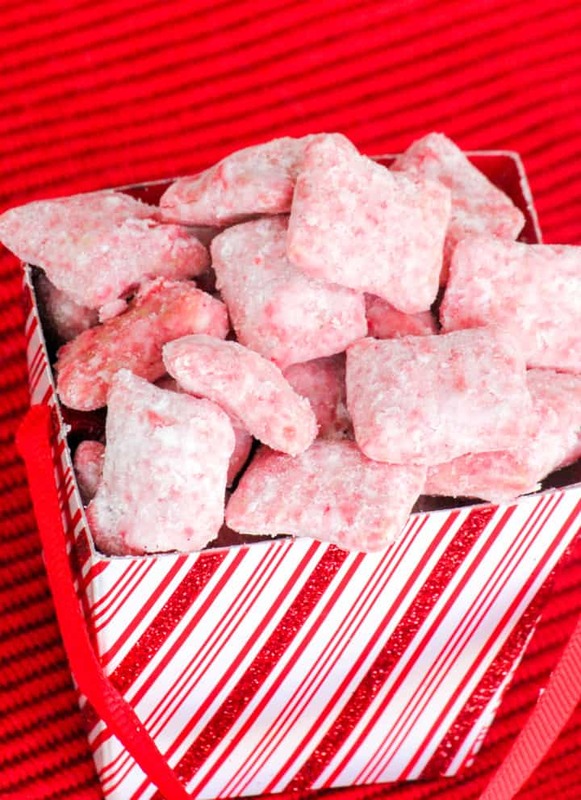 I love munching on puppy chow and this peppermint version looks so fun and festive! Melt in your mouth cookies, topped with creamy frosting and peppermint pieces are sure to be a crowd-pleaser. 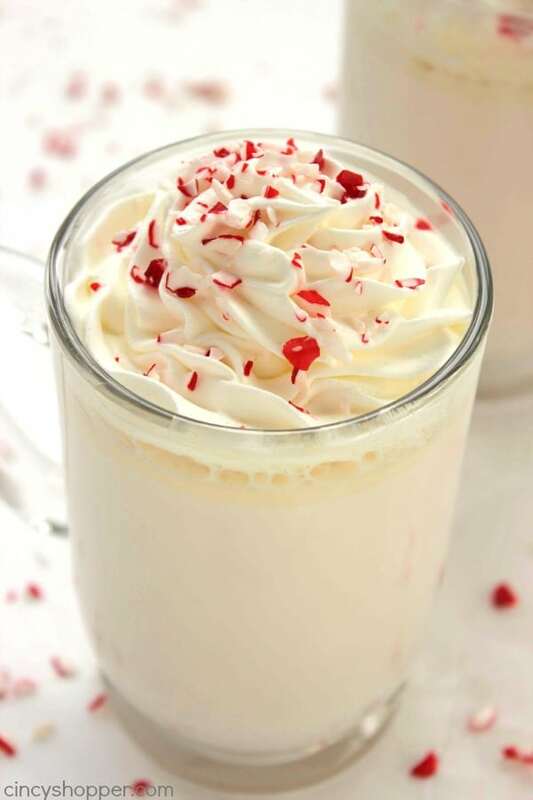 Take a break from the more common milk chocolate and try this peppermint white hot chocolate the next time you’re looking to warm up on a cold day (or night). 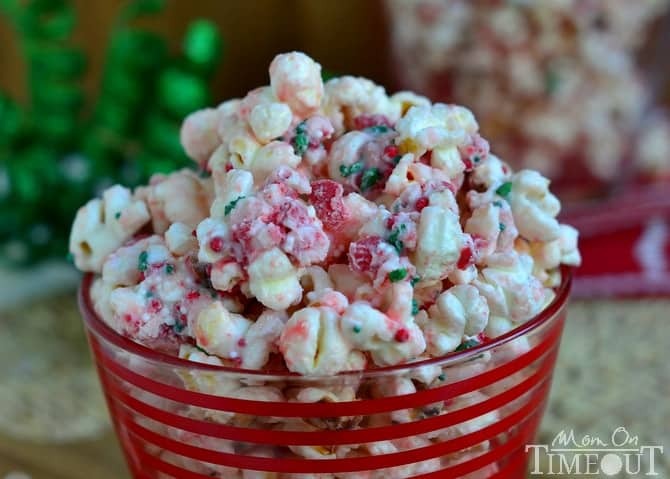 Popcorn is the perfect treat to take to a party or just to snack on at home so it only makes sense to add a little bit of extra crunch and texture to it the next time you make some. Simple and straightforward, this peppermint pie is so pretty and a great choice for a cool treat after dinner. 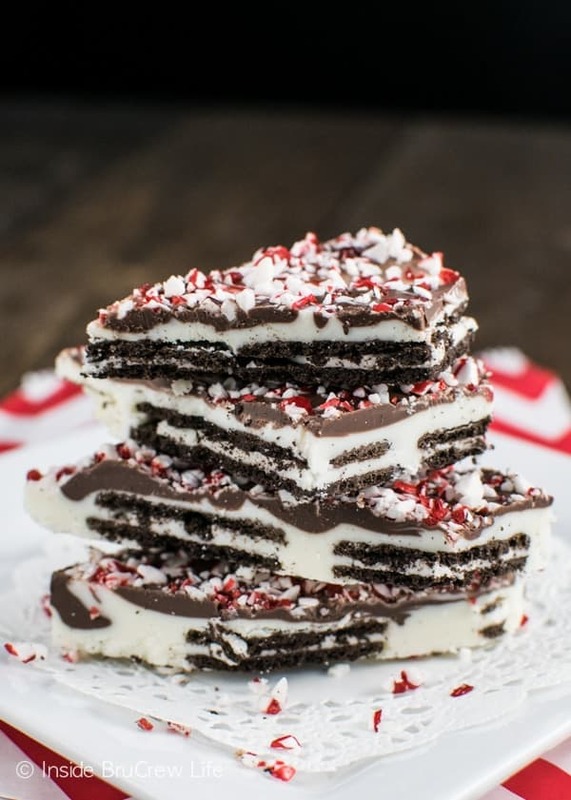 The Oreo cookies add a little extra crunch to this yummy and simple peppermint bark. 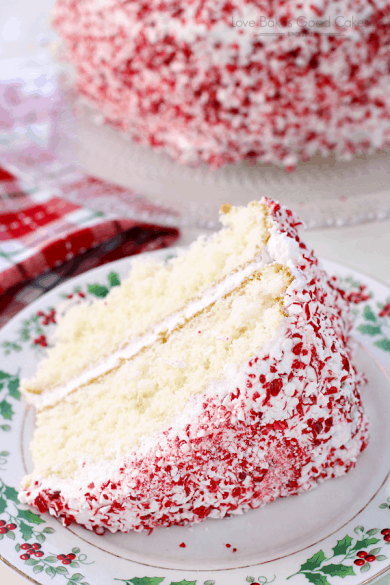 The red and white peppermint candy is so pretty sprinkled on top of this white cake. 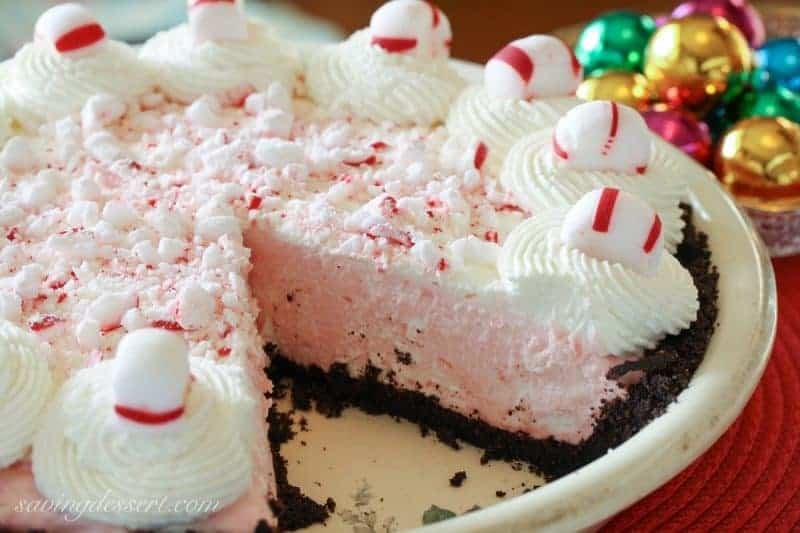 This peppermint cheesecake is easy to make and only needs to set in the fridge before it’s ready to be shared. If dips are your thing, this fun peppermint bark cheesecake dip is just the recipe for you! 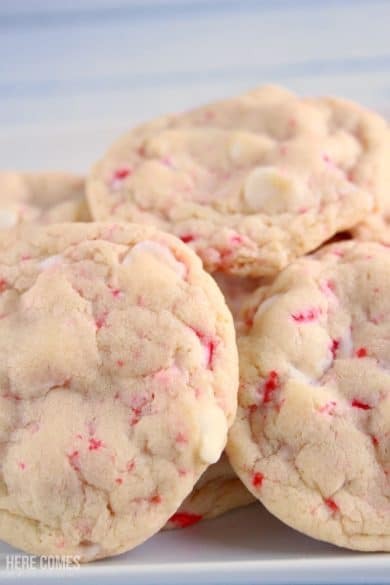 Another yummy melt in your mouth cookie with the cool taste of peppermint as the star. 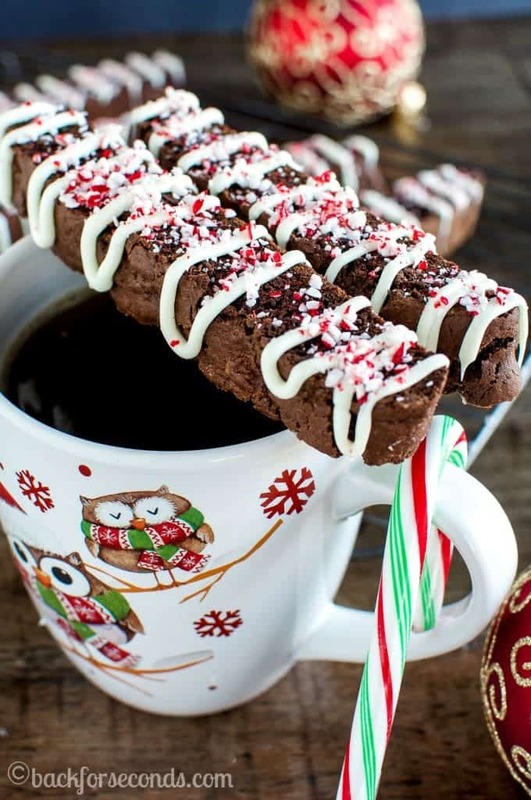 Chocolate and peppermint are such a great flavor combination and these biscotti cookies would be so good dipped in milk or even hot chocolate. 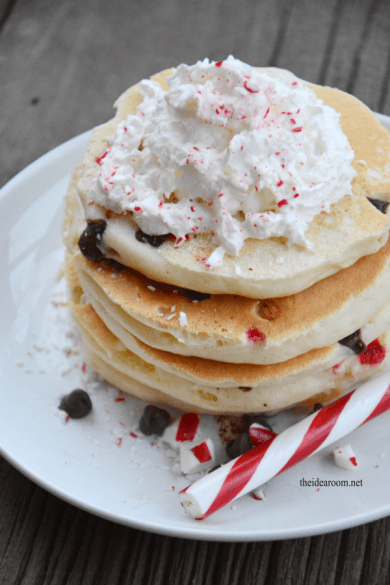 Surprise your family with these fun pancakes for breakfast (or dinner). 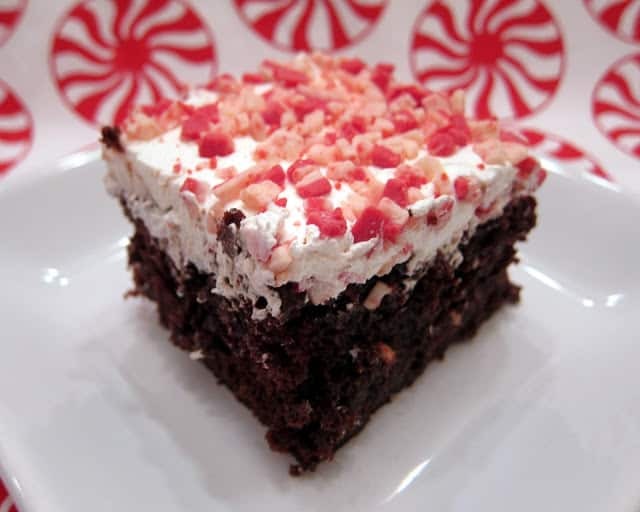 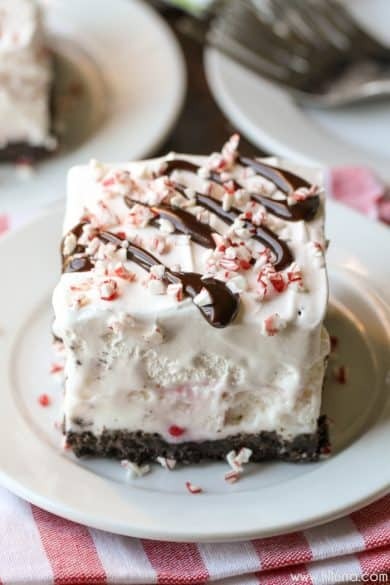 A basic cake mix transforms into an amazing dessert by making it into a dreamy chocolate peppermint poke cake. 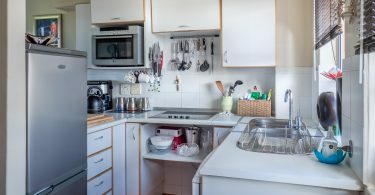 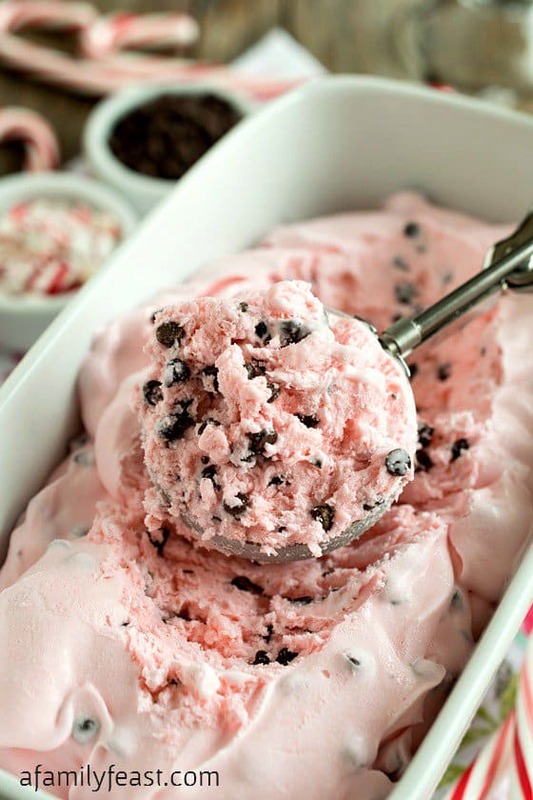 If you don’t have an ice cream maker, but want to try your hand at homemade ice cream, this no churn peppermint chip recipe is just the thing for you. 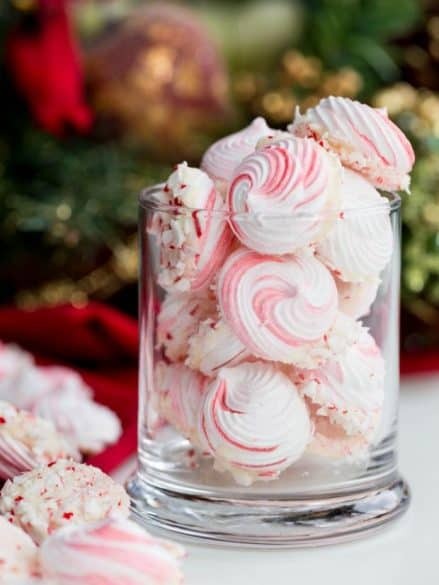 Impress everyone with these simple, but yummy peppermint meringue cookies. Grab a bag of peppermint kisses the next time you go to the store and instantly dress up your cookies this holiday. 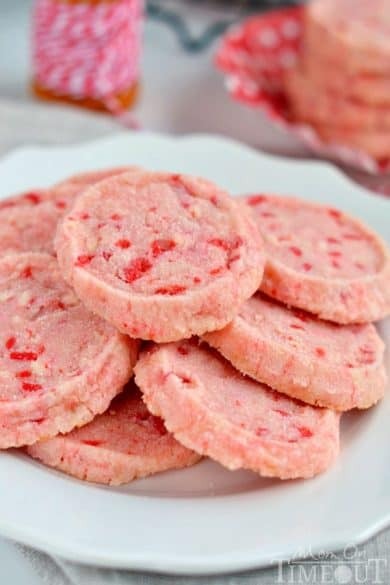 This frozen treat is a great treat to enjoy any time of year, but maybe especially if you live somewhere that isn’t very cold during the winter. 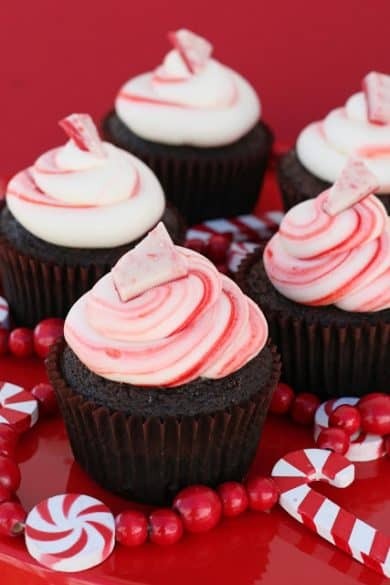 These chocolate peppermint cupcakes would be great to serve at a birthday party or any other holiday or family gathering. The pudding in these white chocolate peppermint cookies will keep them soft and flavorful. 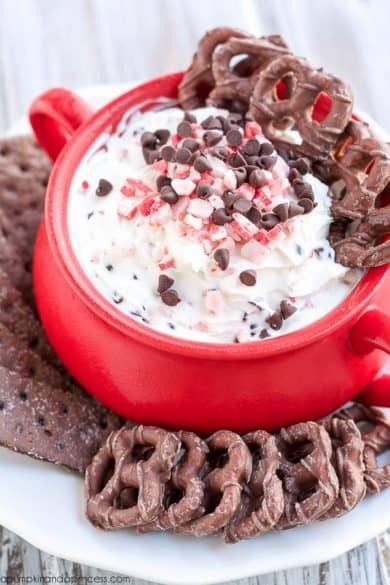 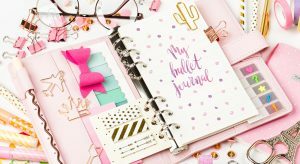 Perfect to share with family and friends. This creamy frosting will give your cake or cupcakes the right amount of peppermint flavor. 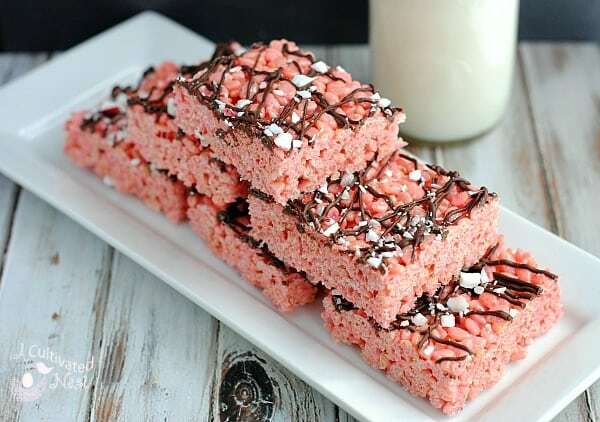 The peppermint flavor take these Rice Krispie treats to the next level! 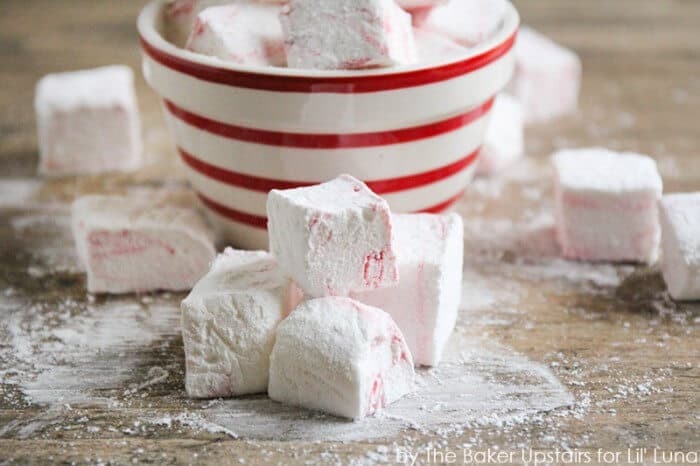 Try your hand at making your own marshmallows, starting with these peppermint swirl ones. 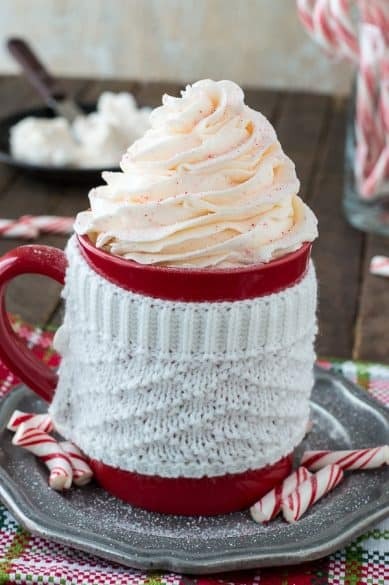 These would be so yummy in hot chocolate!